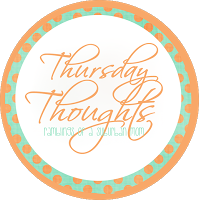 I’m linking up with Jen from Ramblings of a Suburban Mom for Thursday Thoughts. I still haven’t peeked at any spoilers for the Popsugar Must Have Neiman Marcus box and now I think the temptation is over because it's a new month and I can’t wait to see what I get in this month’s boxes! And there are only a few weeks until Christmas!!! I finally signed up for Wantable Intimates when they offered their Cyber Monday deal and my 2nd box is free! I’m so excited to see what I get in my first box and I should have it by Dec 9th. Woo Hoo!!! What are your Thursday Thoughts? *The links for Popsugar Must Have, Stitch Fix, and Wantable Intimates provided above are referral links and I will receive a small credit if you subscribe using my links. Thank you!